Řídící jednotka 946 umožňuje řízení a napájení až 6 vak. měrek a/nebo průtokoměrů. Display 320x240 color QVGA TFT LCD with back lighting. 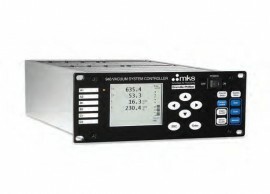 Up to 6 pressure or flow displays. Display indicators for unit of measure, calibration functions, user calibration, set points, PID control status and valve position. *Limited to power requirements of ≤1 amp, cable connections and Full Scale ranges. 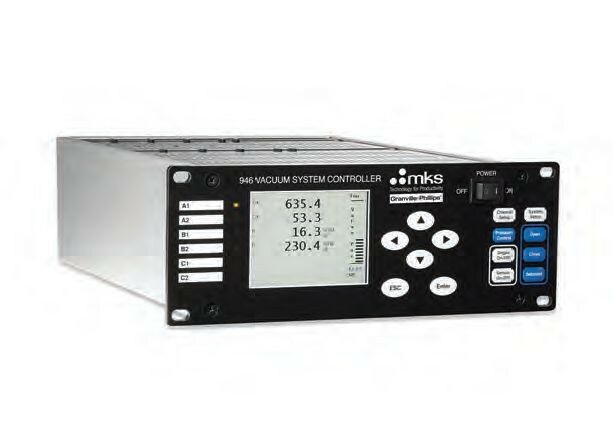 Any MFC requiring ±15 VDC or +15 to +24 VDC, 0-5 VDC set point and standard 15 pin or 9 pin D-sub cable connection.